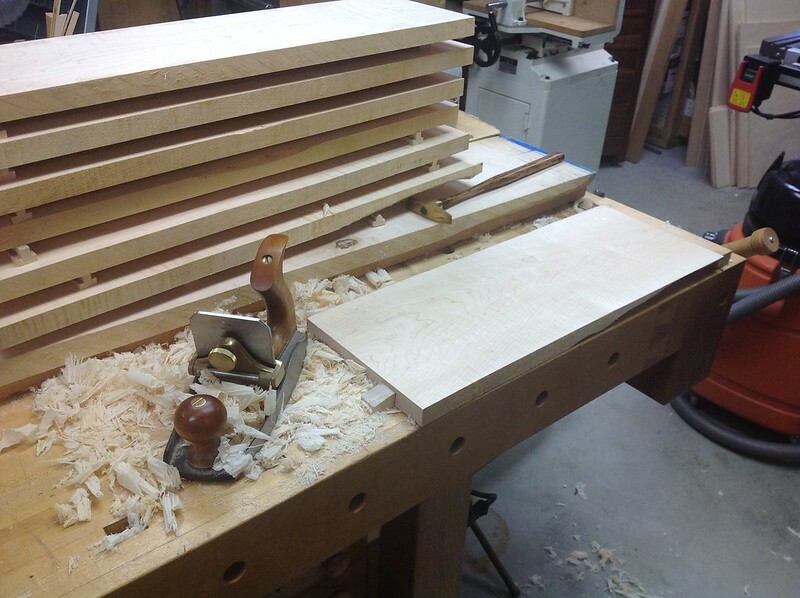 Curly maple is a bear to hand plane. You might get by with a smoother with a very close set chip breaker. Didn't work well for me so I resorted to a 112 scraper plane. It was the only thing I could find that worked. I also agree that staining to emphasize the figure is unnecessary and yields an artificial look. I just used a clear oil-based finish and was very happy with the results.